Hang out with Santa at Lucky's! Lucky's Annual Fundraiser-Photos with Santa will benefit GRRA. 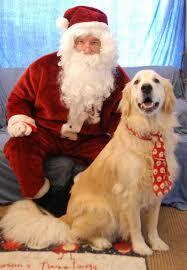 Your pet is dying to meet Santa and share his wish list. Don't miss this fun event and take home a photo memory.